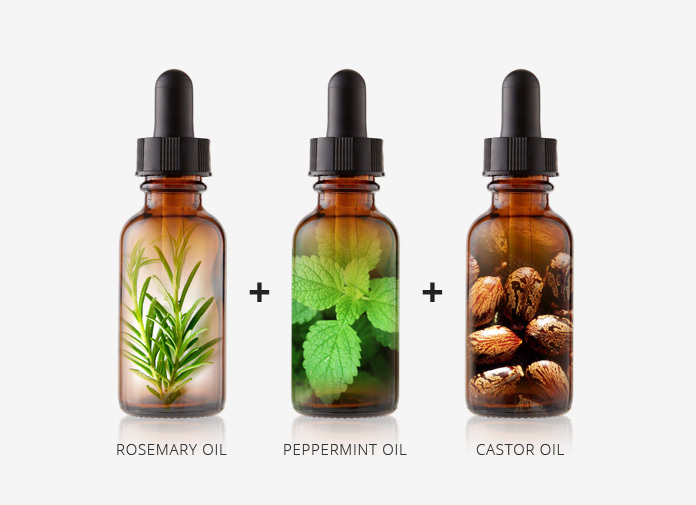 This recipe combines 2 active hair growth essential oils with the proven results – peppermint oil and rosemary oil. Both essential oils are backed by research studies for their hair growth promoting properties and hair loss prevention. While we recommend trying the original peppermint oil recipe first (Recipe #1 in this article), this is also a great option for those who are seeking to get multiple essential oil benefits for hair growth simultaneously.